One word could sum up the New Delhi mini-ministerial of the World Trade Organization (WTO) held in March: pointless. In the backdrop of an imminent trade war between the world’s top two trading nations the US and China, the meeting convened by India on March 19-20 was from the start an exercise in futility as neither the host nor the four dozen-odd participants had any ideas on how to strengthen the multilateral trading system. For India, which is facing a major US challenge to four schemes, like the agricultural special safeguard mechanism and food subsidies, that underpins its vulnerable export programme, there is much at stake—whether at WTO or unilaterally from the bellicose Donald Trump Administration. There was little on the agenda to stimulate fresh thinking on ways to protect WTO from the depredations of a US President determined to set at naught agreements sanctified by the global trade regulator. Both the US and China sent their emissaries but the level of representation indicated how seriously the two antagonists and other participants took the conclave. While China and South Africa had ministers voicing their concerns, the US, the EU and Russia sent their trade negotiators, primarily to reiterate their known positions on what WTO ought to be doing—according to their priorities. Since nothing much was expected from the meeting, there were no disappointments either. Although members were fully aware of the danger of the world being plunged into the chaos of a US-China trade war, they were unable to come up with any coherent strategy to bring WTO negotiations back on track. The meeting only served to accentuate the failure of the last ministerial in Buenos Aires in December 2017 (see ‘WTO trumped by America’, Down To Earth,1-15 January, 2018). The fact is there is no common ground between the developed and the developing countries on the trade agenda. If the latter are seeking primacy for implementation of the Doha Round, which embodies the development concerns of the poorer WTO members, rich nations are pushing other issues, such as e-commerce, which are to their advantage. It was no surprise that Commerce Minister Suresh Prabhu, while summarising the discussions, gave priority to the Doha agenda, and reworking of subsidies for agriculture and fisheries. The main concerns, especially for India, are issues related to agricultural special safeguard mechanism and food subsidies, that is, reforms in the formula for domestic support to farmers and a permanent solution on public stockholding for food security purposes. Bhutani says if regionalism is the flavour of the times, why is India not moving on SAFTA, the free trade pact of South Asian Association for Regional Cooperation? While it is justifiably going slow on the larger comprehensive regional trade agreements such as Regional Comprehensive Economic Partnership, “what is India’s Plan B?” she asks. Soon after the conclave, China slapped a tariff hike of up to 25 per cent on 128 American products, making it clear it would not take lying down US duties on imports of aluminium and steel. 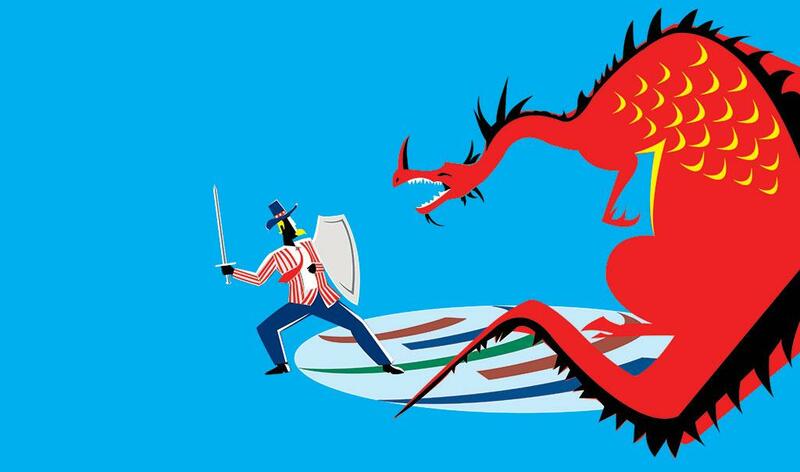 Washington’s imposition of tariffs worth $60 billion on Chinese imports to punish the country for its “unfair” seizure of US intellectual property has signalled the start of a confrontation that will have serious implications for global economic growth. China has also suspended its obligations to WTO to reduce tariffs on 120 US goods, but will instead raise it by an extra 15 per cent. The immediate concern is how this plays out at the WTO’s dispute settlement mechanism, its most vital operation. The US has blocked attempts to fill vacancies on the Appellate Body—WTO’s supreme trade court—which is hugely understaffed with three of the seven positions lying vacant. By September, the vacancies will rise to four—effectively rendering it ineffective. For India, the concerns are somewhat different. While the tariff dispute between the trading giants might escalate into a full-fledged war, there is also a possibility of a settlement. There is no such option for New Delhi. After years of complaining about India’s export promotion schemes, the US Trade Representative has taken it to the Dispute Settlement Body in March, saying that five of its largest export promotion schemes violate WTO provisions. These relate to the Agreement on Subsidies and Countervailing Measures, which does not allow members to use export subsidies. In dispute are incentives amounting to a sizable Rs 42,000 crore. The largest of the schemes was introduced by the BJP regime in 2015 and has since been expanded to include more products. So far, Trump has chosen the settlement route but it is anyone’s guess how he will proceed against a country he has singled out for censure after his fulminations against China. He has made clear his impatience with WTO which he describes as a “catastrophe”. He also signalled his annoyance with the Narendra Modi government for refusing to further reduce tariffs on such items as the Harley Davidson motorcycle, and has gone so far as to publicly mock the prime minister. Should his administration decide to bypass WTO and impose penalties arbitrarily, it could spell doom for India. It is a minnow in global trade, accounting for just 1.65 per cent of merchandise exports. Any tariff hikes could send its economy into a tailspin. (This article was first published in the 16-30 April issue of Down To Earth).